In this work David Law develops his theory of inspiration starting with texts as varied as Virgil's Aeneid and Shakespeare's plays before focusing on the Bible. Following Karl Jaspers, Law views all human knowledge as having limits beyond which there exists the transcendent. There are symbols, signs and characters - or ciphers - that inhabit religion and art and which point beyond these horizons. Perceiving these is at the heart of inspiration and the knowledge of God. For Law the key to the question of inspiration and the Bible lies with understanding the reader's encounter with these ciphers, the most supreme of which is Christ. - Publisher David R. Law is Lecturer in the history of Christian thought at the University of Manchester. 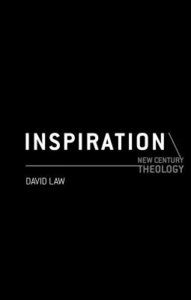 About "Inspiration (New Century Theology Series)"
David R. Law is Lecturer in the history of Christian thought at the University of Manchester.